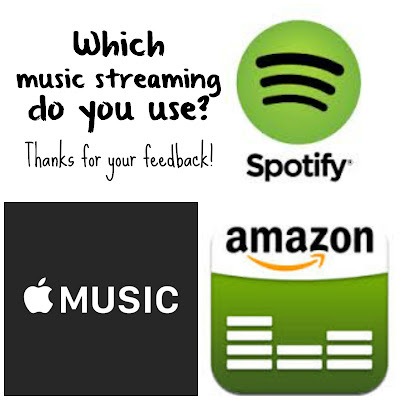 Which Music Streaming Do You Use? I would like to start making music playlists that relate to the teaching ideas on this blog. The difficulty is that there are so many different music streaming services out there. I don't know where to start. And I want to make a list that will benefit the biggest number of readers. Could you please help me out and let me know which music streaming service you use? Either comment on this post or email me at humbleheartsfamily(at)gmail.com. If you don't use any I want to hear from you also! Thanks so much!